Dental implants can replace missing and extracted teeth. Whether you need to replace just one tooth or multiple teeth, dental implants are a durable and long-lasting tooth replacement option. When replacing a single tooth, a dental implant can be topped with a dental crown. When replacing multiple teeth, dental implants can be used to support bridgework or overdentures. A dentist can help determine if dental implants are right for you. Dr. Brenna Hamrick-Stotts is your Redlands, CA dentist for dental implants. Dental implants are hypoallergenic metal screws placed below the gum line. They act as artificial tooth roots by anchoring and supporting dental crowns, bridgework, or overdentures. Dental implants are inserted into the jawbone through a minor surgical procedure. Once the gums have healed from the procedure, the implants can be topped with the appropriate type of replacement teeth. At that point, only the artificial teeth will be visible. 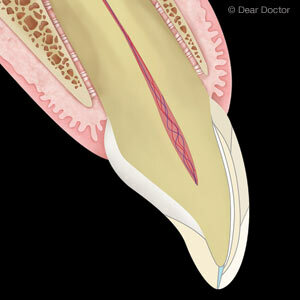 There must be enough bone in the jaw area to support the placement of the dental implants. Your Redlands dentist can utilize x-ray technology to determine if you are a good candidate for dental implants. If so, the dentist can help you decide if dental implants are the right tooth replacement option for you. Dental implants offer several benefits that extend beyond restoration of your smile. Other benefits of dental implants include providing support for facial muscles, which can sag and droop when teeth are missing and affect the shape of the face; improving speech which can be affected when teeth are missing as the gaps alter tongue placement when talking; and redistributing biting and chewing functions evenly across a full set of teeth, which reduces wear and tear on the teeth that had previously been doing all the work. Dental implants are a durable and long lasting method for replacing teeth that are missing or have been extracted. A dentist can determine if you are a good candidate for dental implants and help you decide if they are the right choice for you. To schedule an appointment with Dr. Hamrick-Stotts, your Redlands, CA dentist, call the office at (909) 793-9711.